2011- What began as an 400 tree, 20 acre apple orchard approximately ten miles from downtown Cincinnati has turned into a lasting tradition to thousands of Cincinnatians, and is currently the sixth oldest amusement park in the country. James Parker purchased his apple orchard in 1867. A few years later, people began asking if they could rent out some of his land for private picnics. Parker soon realized that he could earn more money renting out his land for picnics than growing fruits. However, as the picnic business grew, it became more of an ordeal to operate, and the flooding caused headaches. Seeking to find a quieter lifestyle, Parker sold his farm in 1886 for $17,500 and moved to Kansas, never to return again. He sold the land to William and Malcolm McIntyre, two steamboat captains. They were seeking a destination to increase ridership on their steamboat the Guiding Star (not unlike what trolley companies were doing in other cities, like Kennywood, in Pittsburgh, PA. On June 21st, 1886 they opened Ohio Grove: The Coney Island of the West. 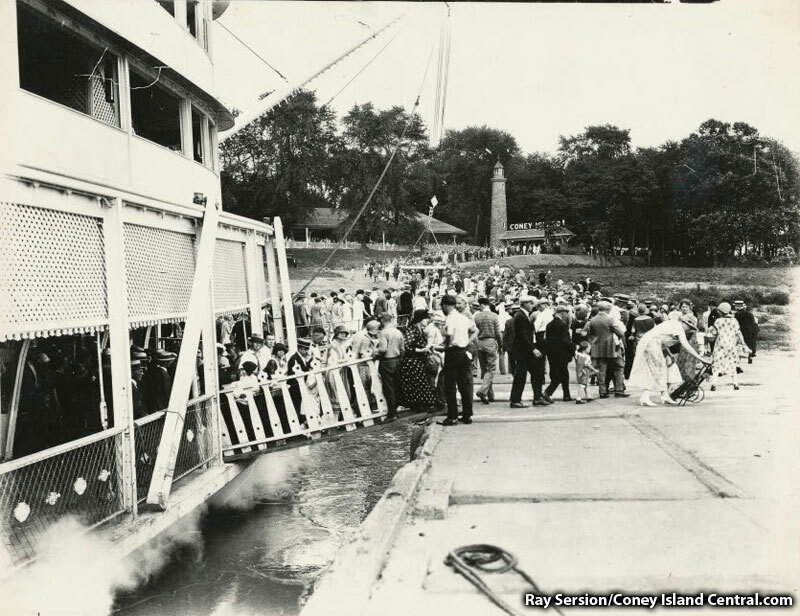 Throughout Coney`s history, 19 riverboats services the park. The most notable of the river boats were the two Island Queens. River boat traffic was the principal way that scores of people visited the park in the early years. The following season, in 1887, the Ohio Grove name was dropped and the park was known simply as Coney Island. New ownership took control in 1889, led by Commodore Lee Brooks. The new ownership purchased additional farms, converting a former corn field into a lake in 1893, Lake Como. In 1924, the ownership of the park changed hands once again, after a brief two year ownership by J.J. Hubbard of Pittsburgh. The new ownership was led by George and Ed Schott. They would own the park for the next forty plus years. Some of their early investments were to build the second Island Queen, as well as constructing the 3 million galloon Sunlite Pool in 1925. They were also responsible for adding the Philadelphia Toboggan Company designed Moonlite Gardens in 1925 and PTC Grand Carousel in 1926. Coney Island survived the Great Depression, as well as the worst flood in Ohio history; the flood of 1937. Some carousel horses were carried as far down river as Paducah, KY. In addition, Coney also survived the difficult times of World War II. 1947 saw the end of river boat traffic to the park, as the second Island Queen exploded in Pittsburgh shortly after the season ended. Throughout Coney`s history, roller coasters have been a big attraction. 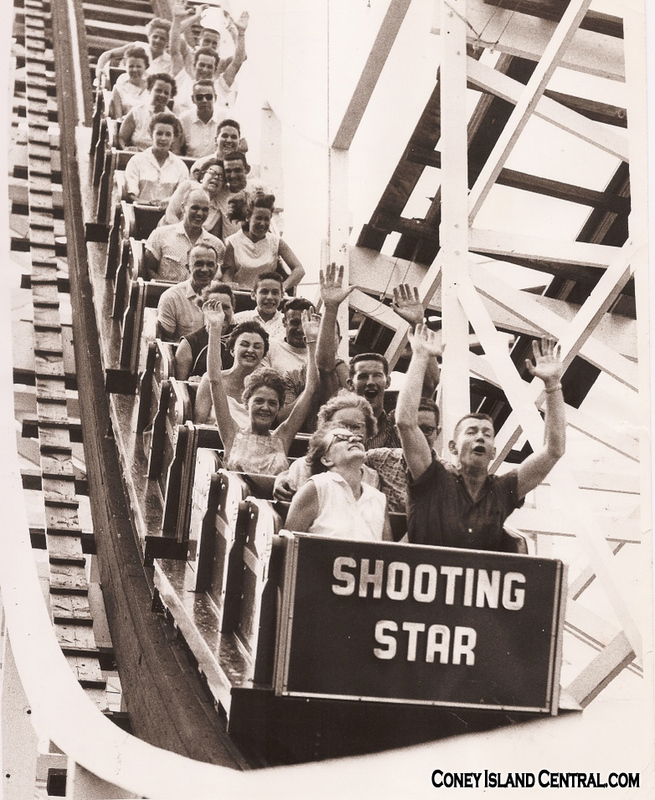 The Wildcat opened in 1926, and the infamous Shooting Star opened in 1947. The Schott and Wachs family maintained a meticulous facility, earning the motto “America`s Finest Amusement Park. Indeed, it was held in high regard as Walt Disney visited the park as he was beginning to plane Disneyland. Coney had relatively dominated the Cincinnati amusement park market since the closing of Chester Park in 1932. However, plans were announced in 1968 to build a frontier themed amusement park in Northern Kentucky. 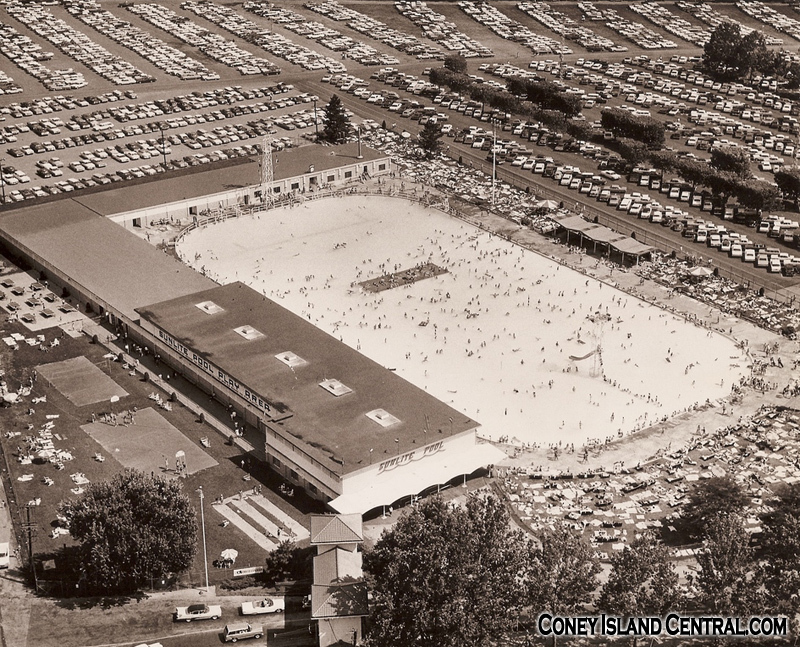 In 1969, Taft Broadcasting purchased Coney Island, with the intention of building a new theme park north of Cincinnati with more room for expansion, and more importantly, up away from the Ohio River and its flood waters. 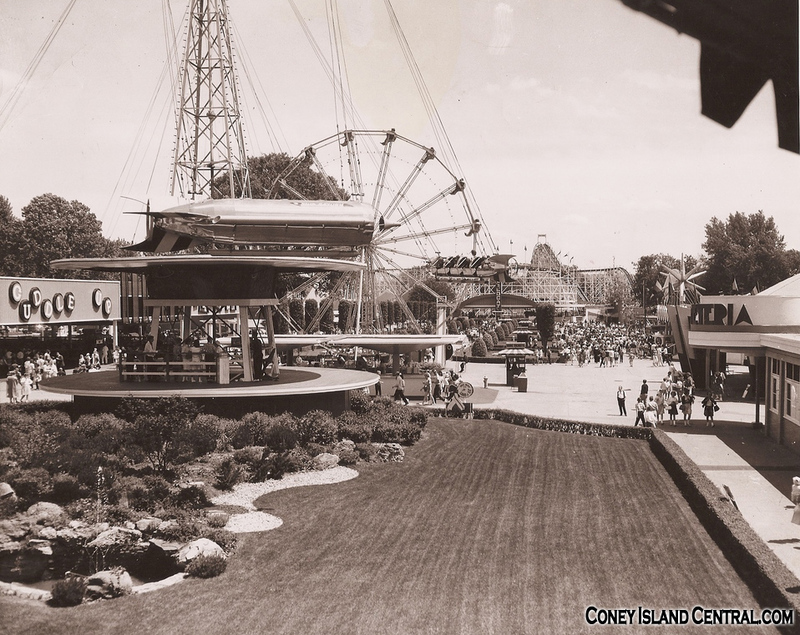 To read more about the transition from Coney Island Kings Island, check out this article on Coney Island Central here. Taft choose not to relocate Sunlite Pool to Kings Island. They placed Coney for sale, but decided to operate the pool that season. It attracted 100,000 visitors in 1972. The picnic grove reopened in 1973, and by the late 80`s, Taft (then known as Great American Communications) began adding some small rides to the park again. In 1991, Ronald Walker purchased Coney Island for $3.8 million. To this day, the park remains under the ownership of Walker`s family (he passed away in 1997). In recent years, Riverbend Music Center has been a primary draw at Coney, attracting concert goers to the shores of the Ohio River. More rides have been added over the last twenty years, but Sunlite Pool and the picnic grove remains a draw at Coney, even after 125 years of business! Coney Island officially celebrated its 125th birthday on June 18th, 2011 complete with a Rozzi`s Famous Fireworks display at 10pm. The first Rozzi`s fireworks display to be held at Coney was on July 4th, 1934.